Yep, we have a brand spankin’ new flagship to talk about, so that means a spec comparison is in order. 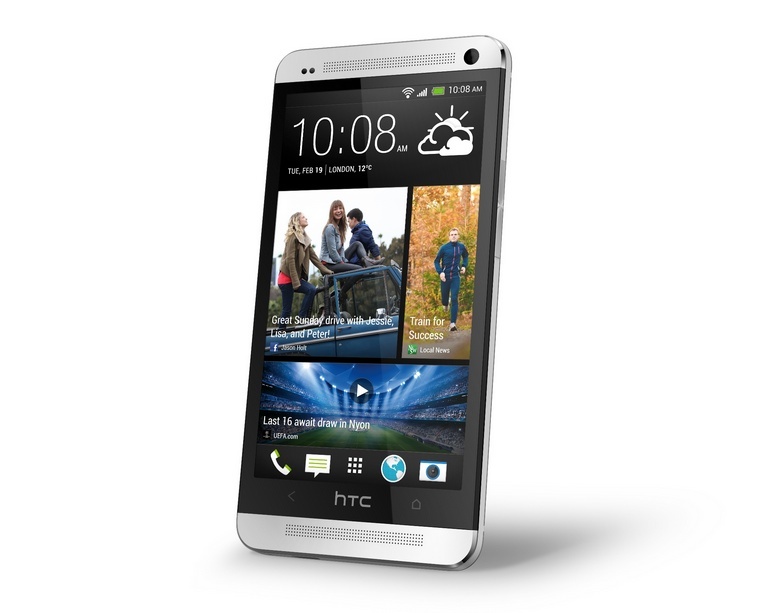 The HTC One, which didn’t garner a lot of bragging from HTC on a spec front during its unveiling, really is quit the beast in terms of hardware. On paper, because phones are all so powerful these days, it may not seem like a giant leap forward, but it certainly feels like a solid jump over anything else on the market today. With its brand new Snapdragon 600 quad-core processor, 2GB RAM, brilliant 1080p display and new camera tech called Ultrapixel, it has at least a handful of components that no other phone currently has. 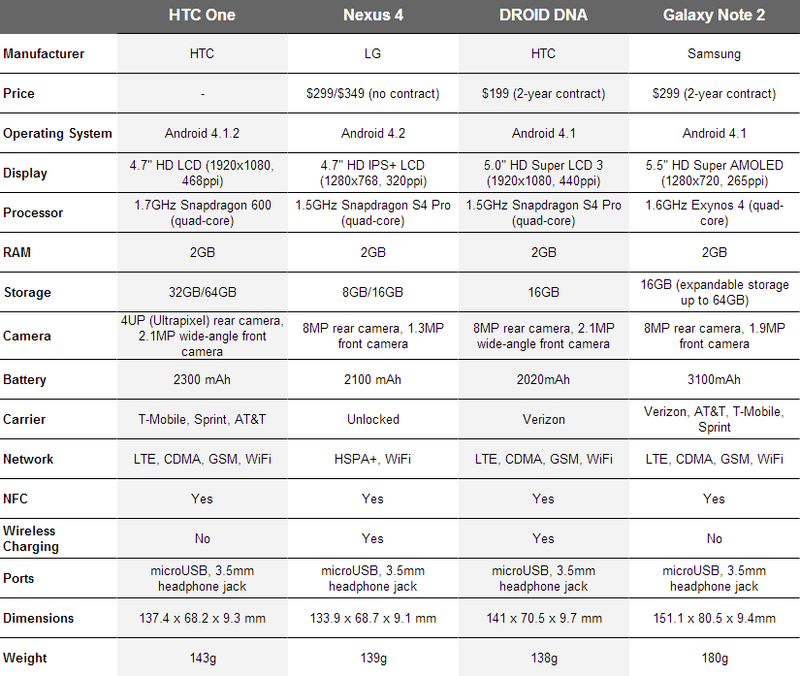 Below, we have a chart that compares it on paper to the Nexus 4, DROID DNA, and Galaxy Note 2. And after you check it out, be sure to remember that specs don’t always win battles. 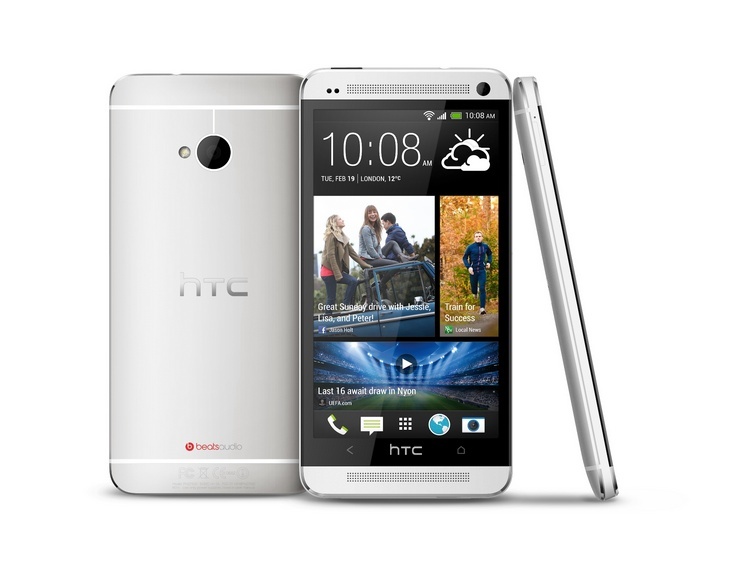 HTC knows this and has offered an entire suite of software enhancements that should help it stand out from the crowd this time around. Be sure to read my thoughts on it all.